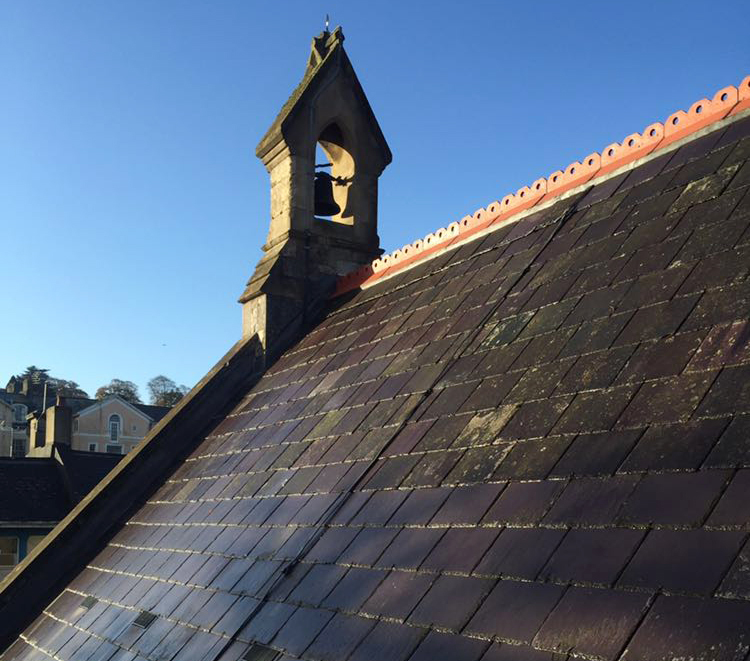 We recently worked with the Torbay Development Agency on this listed building, school project to renew the main school building slate roof as well as adjoining flat roofs. 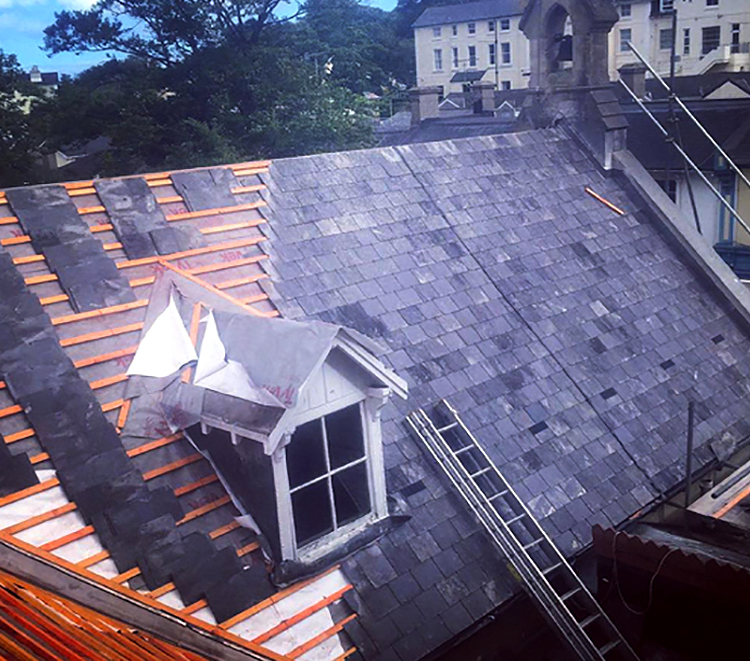 Stripping the slates, renewing the timbers using treated gold batons and felt using high performance breathable tillers felt before re-fixing the existing natural Welsh slates. 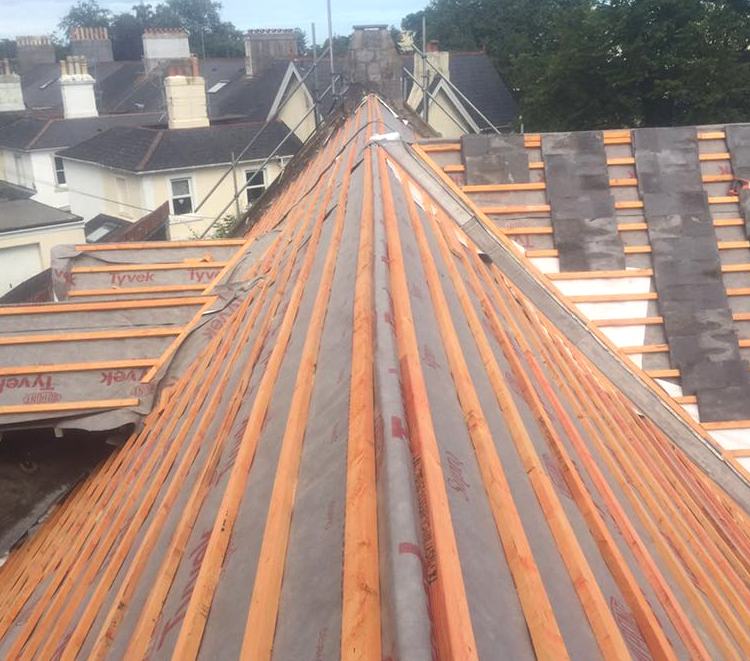 All lead work was renewed using code 5 lead. 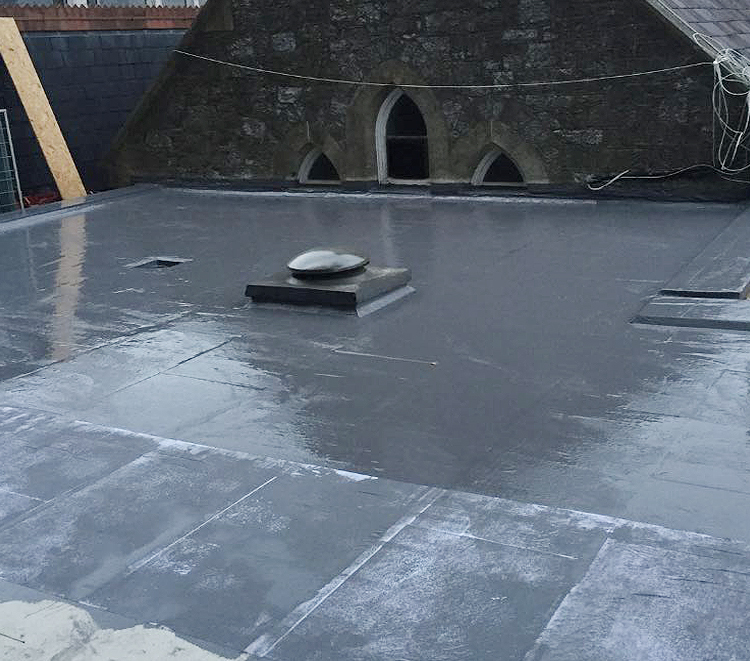 The flat roofs were renewed using a cold adhesive called Hydrostop, this product comes with a 25 year manufacturers guarantee and is currently the leading product for cold adhesive flat roofing. 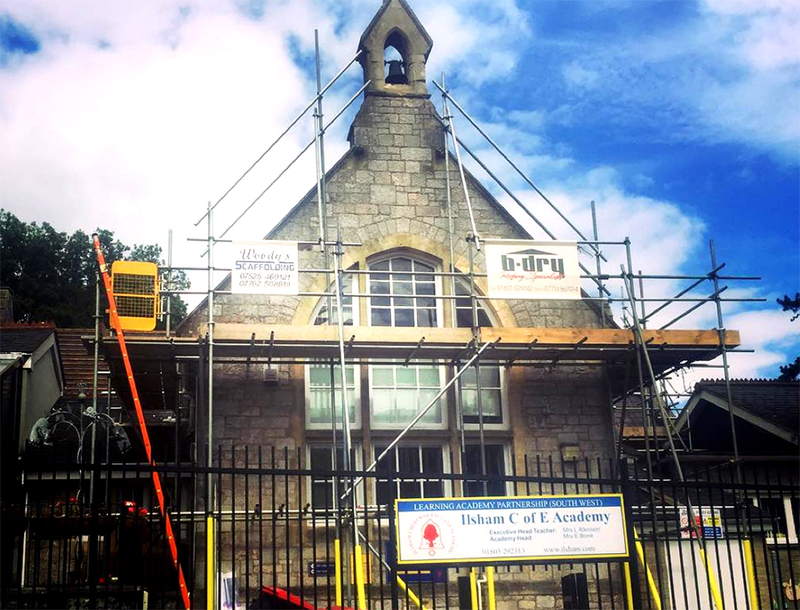 All work was completed in the school holidays.